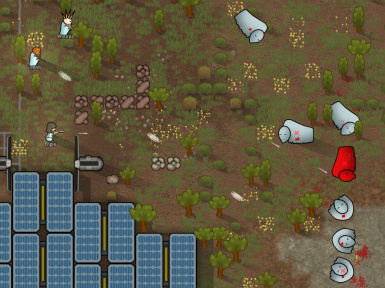 Rimfire adds fourty-eight craftable and researchable, carefully balanced weapons to Rimworld along with a means to toggle whether certain weapons will spawn. The mod is licensed under CC BY-NC-ND 4.0 under most circumstances..
..unless you're a modpack author and contact me about your modpack in which case I will state whether you can use the mod or not..
..or when you're making a compatibility patch for the mod (distribute these on the forums only). I don't allow redistributions to come with a donation link. Appropriate credit is of the form: "Rimfire [version number (E.g 1.7)] [version coding (E.g UO, CR_SK)] (..) by Alistaire" along with a link to the mod on Ludeon forums. Changed gun sounds through in-game editor to equalize volume and pitch, add reverb etc. 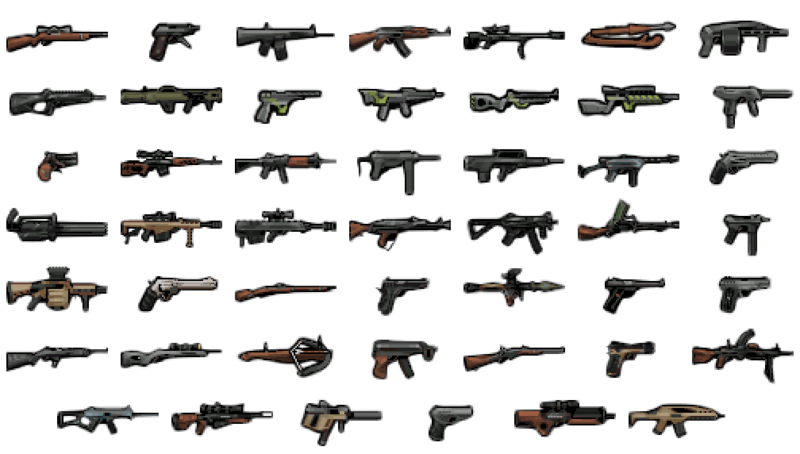 Complete graphical overhaul of all existing guns. 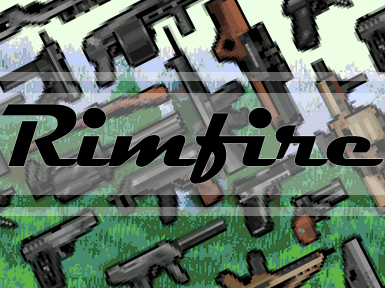 Rimfire versions 2.2+ include a HugsLib Mod Settings Menu. 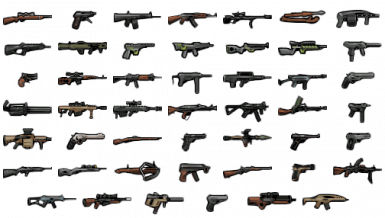 The Milkor MGL was added after Zerg HiveMind requested a grenade launcher to be modded in.The H&K USC, Ruger PC-9 and Beretta CX-4 were added after Loki88 requested carbines.The AK-47 and RPG-7 were added after several requests and for being some of the most voted options in the 1st "Considered" poll.The Madsen LMG and Type 73 LMG were added for being the most voted option in the 1st "Considered" poll.The language selection part of the MCM was added after Grimandevil requested real-life gun names.The categorization part of the MCM was added after Kittaye requested such functionality.The S&W Model 500 and Barrett M82A1 were added after Mr. Picard requested a .500 Magnum and Barrett .50 Cal.The Ruger 10/22 was added after Austupaio requested a 10/22.The Rheinmetall MG60 was added after Iwillbenicetou requested an MG60.The Ruger Mk III Standard, Ruger 10/22 and Spencer Repeating Rifle were added after several requests for Rimfire calibre weaponry and after it being the top voted option in the 2nd "Denied" poll. 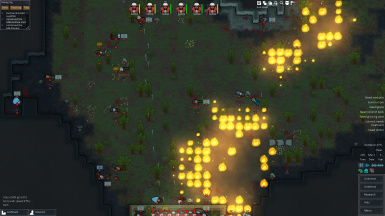 For mod authors: Information on how to add GunModMCM (or HugsLib GunMod) compatibility to your gun mod can be found on the wiki. ..unless you're a modpack author and contact me through forum PM about your modpack in which case I will state whether you can use the mod or not..
Added 07 09 2015 I don't allow redistributions to come with a donation link. Added 01 10 2015 Appropriate credit is of the form: "Rimfire [version number (E.g 1.7)] [version coding (E.g UO, CR_SK)] (..) by Alistaire" along with a link to the thread somewhere in there. 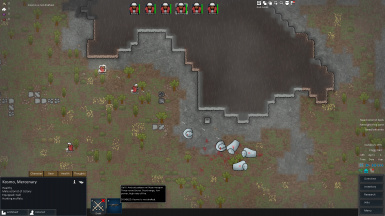 Everything in the mod was made or edited by Alistaire. Sounds (<v2.0: 32-bit WAV | v2.0+ 16-bit OGG) were taken from several Youtube shooting videos and thoroughly edited in Audacity;Graphics (PNG) were made with Photofiltre Studio;Originally inspired by Guns+ Alpha 8 by Hunter712.